Eight Tips For Handling Anger At Someone With Asperger's | Kenneth Roberson, Ph.D. If you are in a significant relationship with someone who has Asperger’s Syndrome you probably know what it’s like to be angry. The personality traits in Aspergers tend to generate more resentment, misunderstanding, disappointment and frustration than are typical in close relationships. 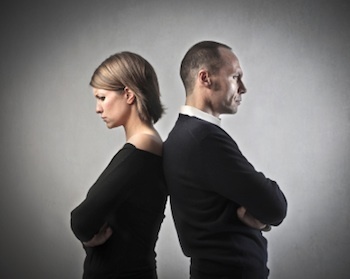 As if that wasn’t enough, those same traits make it harder to resolve relationship problems. Once resentment and anger builds up, it’s very hard to get past them. Here are eight suggestions, gathered from my experience as an Aspergers psychologist, to help you handle anger in your relationship with someone who has Aspergers. Knowing what triggers anger in you or your partner can help prevent it from happening in the first place. Perhaps you tend to feel let down by others. Or you imagine people expect too much from you without giving anything back. When your partner acts in certain ways towards you, your first response is to feel let down, misunderstood or taken advantage of. From there, it’s not a big step to becoming angry. On the other hand, your partner is a likely source of anger. He may be very competitive, for example. It doesn’t take much for interactions between the two of you to be about one person winning and the other losing. Maybe your partner reacts more logically and less emotionally than you do. If you notice feelings and he listens to logic, misunderstanding each other’s needs and perspectives is likely. Knowing what triggers anger will help you and your partner find better ways of coping with it. Listen to your partner’s point of view. Even though you may disagree, try to understand that position from your partner’s perspective. Many of the conflicts in relationships occur because each person feels they are not being heard. There is no harm in listening. It’s okay to disagree, but to validate your partner’s needs and feelings by listening to them encourages a sense of being heard, which is a crucial first step towards starting a useful dialogue. Listening is my most effective tool, as an Aspergers psychologist. It can be yours as well. People with Aspergers don’t necessarily have the same need to express emotions as others do. They have difficulty interpreting nonverbal language and the emotions of others. Facial cues such as frowning or staring may not be read accurately or at all. Their own emotions may feel intense to them because of heightened sensitivity to feelings, social situations or to painful sensory experiences such as loud noises or bright lights. The give and take of intimacy may seem more like unpredictability and irrationality, things to minimize and avoid. It is untrue that people with Aspergers do not feel. But their emotional reactions are often different. If you can understand from their point of view how they operate, you are likely to feel less angry yourself. It’s difficult for all of us to think calmly and rationally when we’re angry. If working through conflict is important to you, calming your initial emotional response is crucial. Only then are you likely to express your own anger constructively and deal with your partner’s anger similarly. Doing something relaxing or distracting can help you calm down. Physical activity often helps us let go of negative feelings. 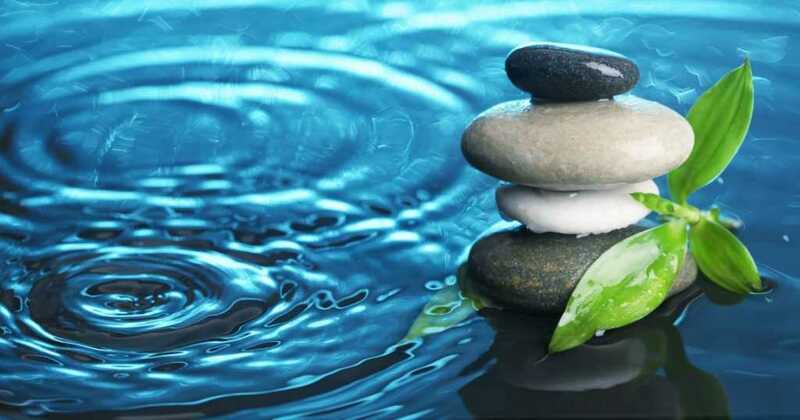 Once you feel calmer, you can address the problem more constructively. Try to do this as close to when you experience it as possible, rather than letting resentment build up. Over time, you can learn to recognize anger cues sooner and react to your partner’s behavior differently so that you can prevent the build up of an escalating cycle of resentment and anger. Most professionals, such as Aspergers psychologists, see the build up of resentment as a prime cause of relationships failing for adults with Aspergers. Anger between two people generally requires a mutually agreed upon solution. Work with your partner on that solution. Write down points of agreement and disagreement, and address them one by one. Then write down as many possible solutions as you both can think of. Start with points of agreement so you both feel you’re making progress. Find mutually agreeable ideas and continue until you reach a reasonable compromise. Instead of talking about what to do, try the things you’ve both agreed might help. Be sure you agree about who will do what and when. And be clear about what you’ll both do if it doesn’t work. Be as specific as possible. Few things are more detrimental to solving a problem than vague goals and ambiguous consequences. No plan works if there’s no way to tell if and when you’ve accomplished what you set out to do. If you find out that your solution to anger isn’t working, talk with your partner about what will. Brainstorm new options. Find mutually agreeable steps to take in a different direction and take them. To the best of your ability, keep at it. 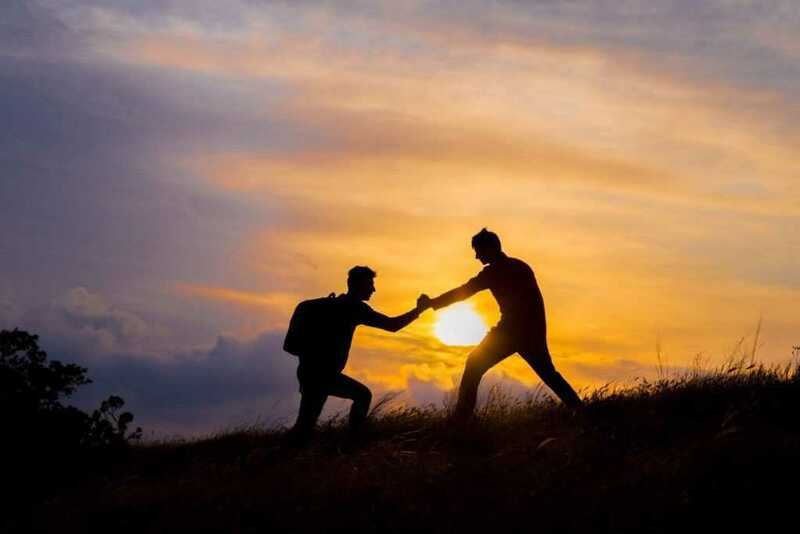 With persistence, the cycle of generating solutions, implementing them and evaluating the results will lead you and your partner to a successful resolution of the anger that often occurs as a result of Aspergers. I disagree with your statement that people with aspergers have difficulty discerning “Facial cues such as frowning or staring may not be read accurately or at all. Their own emotions may feel intense to them because of heightened sensitivity to feelings, social situations or to painful sensory experiences such as loud noises or bright lights. ” This is so arrogant of you! I am a very HIGH FUNCTIONING aspie and I learned over the years how to act by studying intensely the people around me. This made me very discerning. I would read their facial cues to learn how to react in certain situations because I was too hypersensitive to filter the stimuli. I spent my young life getting up at all hours of the night running into the night because I would be so overloaded I had to decompress and balance my neurotransmitters by running at night. Why at night? I don’t know? that’s something a researcher in high functioning aspergers should investigate. Let me also add that I have a daughter with severe autism who is self abusive and when I was younger I was self abusive yet I was a not autistic. Nobody knew what I was. I believe the highest functioning aspies among us give birth to severely autistic children and as such, we must be misunderstood by the vast majority of professionals who have idea we even exist or that there is a parallel among us. This explains why so many people who are verbal, high functioning aspergers engage in self abuse, while we find those with severe autism who are non verbal and severely disabled in society’s minds…. My impression is that the author was saying it’s difficult for OTHER people to read an aspie’s facial expressions. So…I might be frowning because I’m concentrating, not because I’m sad or angry. I might be staring into space with a completely blank expression, and yet be broiling inside from anger, despair, or excitement. So other people can’t make the assumption that they are reading my facial cues correctly. A blank stare does not indicate with any certainty at all that I’m not feeling anything…in fact I might be completely flooded, but not showing any outward sign of it. Like you, I also learned to read facial cues of NTs very acutely, in my case because of growing up in an abusive family…it was necessary for survival. So now, I don’t like watching people’s faces during a conversation because I get SO MUCH information from their faces…layers that often don’t agree with what they’re saying. And they don’t seem to be aware of the discrepancy. It’s very confusing…as I’m sure they’re also confused by my incongruent signals. I totally agree. The lack of knowledge about high functioning autism is a real shame in our modern and western society. Theories are written, policy are made, but no one seems to understand that some people are just totally different. The complex society is not suitable for autism, and also not for high functioning autism. I wonder when the breakthrough will come. The keyword here is “may”. You of all people should know that autism is a spectrum disorder and that not everyone is on the severe end of the autistic spectrum, e.g. those with Asperger’s (nearly all of whom would be classified now as having mild ASD under the new DSM-5 classification system — “Asperger’s” isn’t a thing anymore, just like how “ADD” is an outdated way of saying ADHD-PI). Everyone with Asperger’s is going to have a different experience. > I learned over the years how to act by studying intensely the people around me. This made me very discerning. This implies that you must have had difficulty discerning facial cues before you had tried to learn about them. So, you’re essentially admitting that you DID have difficulty discerning facial cues. And guess what? People with Asperger’s DO have constant difficulty observing facial expressions BEFORE their diagnosis. You just happen to have been diagnosed (lucky you!) and so you knew that your difficulty stemmed from Asperger’s, not from something else like a character flaw. Others with undiagnosed or untreated Asperger’s aren’t so lucky. > This is so arrogant of you! > …because I was too hypersensitive to filter the stimuli. Wait, so after all this time… you’re hypersensitive? You disagreed with his statement about how those with Asperger’s have heightened sensitivity and whatnot, and now you’re saying that you were hypersensitive all along? How is he being arrogant if you basically just agreed with what he was saying? > I am a very HIGH FUNCTIONING aspie and I learned over the years how to act by studying intensely the people around me. Congratulations? “Very high functioning Aspie” is a redundancy. 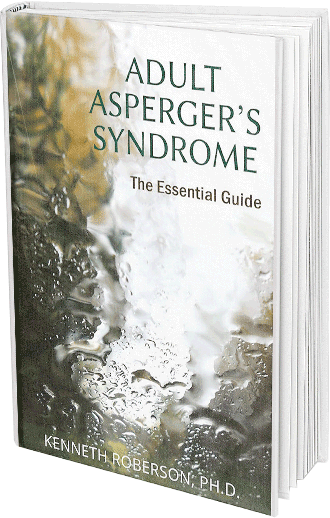 All “Aspies” — due to the nature of the diagnostic criteria of the DSM — are already high-functioning individuals, otherwise they would not have the diagnosis of “Asperger’s” in the first place. “High-functioning autism” in psychology simply means that you are on the autistic spectrum and have an IQ of above 70, and have the necessary self-care skills to be able to function independently to a reasonable degree. In other words, you don’t have mental retardation (now called an intellectual disability). That’s not exactly hard to achieve, I’d say. Secondly, you ARE autistic. You just happen to have mild autism, not the more severe type that you see so frequently in the media, like those with autism along with an intellectual disability who need constant support just to be able to perform basic tasks like eating and sleeping. > I believe the highest functioning aspies among us give birth to severely autistic children and as such, we must be misunderstood by the vast majority of professionals who have idea we even exist or that there is a parallel among us. This explains why so many people who are verbal, high functioning aspergers engage in self abuse, while we find those with severe autism who are non verbal and severely disabled in society’s minds…. The difference between you and someone with severe autism is that someone with severe autism has the SAME problems, if not, significantly worse than yours, AND they do not have the cognitive ability to take care of themselves or be independent. They are the ones who have to be under constant supervision just in case they have a meltdown or sensory overload, because they will not be able to cope with it and will not be able to learn about their own condition, unlike you. Do you have any citations for this? Well, you clearly HAVEN’T been misunderstood by this particular professional whom you have been lampooning all this time, as your experience sounds EXACTLY like the description of Asperger’s that he gave above. > This explains why so many people who are verbal, high functioning aspergers engage in self abuse, while we find those with severe autism who are non verbal and severely disabled in society’s minds…. Conclusion: I don’t know if you’re trying to put high-functioning autists on a pedestal or something, but seriously, your response is so typical of an Aspie. You make a point then continue to give evidence that contradicts the very point you were making. And then you rant about how no one understands you — when in fact you just proved otherwise — and blame the author for perpetuating oppression against high-functioning Aspies because he “misunderstands” you. I think that YOU were honestly the one who misunderstood him, not the other way round. You honestly might want to do some work on reading people’s intentions, because you’ve got it all wrong here. Again, typical Aspie. I agree with your comments. It was an emotional moment for me to read all this …my partner has aspie as well. What I realize in the last year is that the only way to maintain the peace is to agree with him all the time, do most of the things the way he things is better and not to accuse him that he is doing anything wrong as he does not seem to understand social boundaries…I guess is difficult to understand others and to be understood when the perception of reality is different in some situation and you are the one who has to be always right :). Thank you Dr Kenneth for this article. How can I deal with my anger towards an ex AS partner that I keep bumping into. He refuses to talk to me about our relationship that ended badly. He has moved on and left me with no closure and a myriad of unsolved emotions. Married for 20 years to a man with high-functioning Aspergers. Through hard work, honesty, encouragement, and goading he is functioning much better: has developed career aspirations, better relations with family, better self-care, improved communication… I, on the other hand, am doing worse than I’ve ever done because I am absolutely seething with resentment. I fly into a rage at anything that resembles the “bad old ways” (habits are hard to break, especially habits of mind, and especially for someone with AS) and I just can’t seem to grow and move forward. I feel that my husband got very cozy in the loving relationship that I provided for him, doing less and less of any effort in the marriage or in his life, the more I gave the more he happily took, not noticing that I was getting exhausted and being disregarded, as though he had a right to my good will without lifting a finger or even saying thank you, and now I feel that it isn’t safe to love him or he’ll see it as permission to drain me like he did before. It’s hell for both of us, he is really trying and succeeding, but I think I don’t trust him and sometimes wonder if I’m capable of loving him any more. Love shouldn’t be like this, it shouldn’t “run out” or be withheld so I suppose I’m no longer a loving person, I’m an angry person, and I’m frightened and sad. So is he. I will use these tips for controlling my anger because that shuts down any hope of progress. Thanks for the article. All good advice EXCEPT a person can not maintain this for the lifetime of a marriage. At some point, you simply can’t take the verbal abuse, mental abuse, and lack of warm affection from an aspie partner. Thats why most relationships end in separation. A person needs some equality and constantly catering to the aspie partner wears a person out. I particularly object to the idea of writing everything down. When you do that with an aspie, it becomes a literal agreement and the whole agreement. An aspie will remember every word of it. Then, when you deviate slightly – for example, you don’t have time to clean the shower because you are late for work – your aspie partner will notice and add it to their mental scorecard. All this will come pouring out then the aspie partner has a temper tantrum and none of it will make sense because it’s all out of context. Ditto for having a conversation with an aspie partner about any problem – finance, personal, heath, etc. When the aspie gets angry, it’s like trying to reason with a narcist. It’s all about how great the aspie partner is and how bad a person you are – a liar, not trustworthy, not having an accurate memory. I’ve found the ONLY way to deal with frustration when my partner is difficult to live with is just to take the next day off and do what I want just for myself – anything to get some mental fresh air. I’ve lived with a difficult husband for almost 15 years. People ask me how can I stand it. Well, it’s not easy, it wears me out, I waste a lot of time reconciing my emotions because there is no normal exchange of emotion with my partnet. Maybe someday, I will leave. When I need more than just a breath a mental fresh air.